Every step forward we take makes us more stronger and committed towards our work, towards our customer and towards the team that makes things happen for us. Mulberry Lifestyle was started with a sole aim to place Ranchi on the global map of quality fashion apparel manufacturers and today we taking a step forward by accepting international orders and enabling international deliveries on our online store http://www.mulberrylife.in. By doing this, we are able to sell our products to customer across borders. We have already dispatched orders to our customers in New York, Chicago, London, Sweden, Sydney, Munich, Singapore, Florida and the list goes on. We have provided a secured payment gateway through PayPal which enables international transaction through Debit & Credits Cards. The orders are generally dispatched through India Post or through Fedex, depending on the urgency of order received by us. Customer have to pay a fixed shipping cost of INR 1500 (USD 23) for getting the order delivered almost anywhere on the planet. Beat the Summer heat in our Summer Jackets made of finest quality European Linen which make sure that it never stops breathing. These Jackets will transport us to a happier, sunnier place where we feel free to express a wittier version of our real selves. The designs of our Nehru Jackets and its colors are inspired by the contrast of urban design and lush vegetation, leading to unexpected color combinations and collections reminiscent of architecture, travel and nostalgia. As we launch our Spring Summer 2016 Collection, we bring before you the first teaser on what it is all about. The collection includes Nehru Jackets for both Men & Women. The Jackets for Women are designed with princess cut to make sure it fit every woman’s body perfectly. The Spring Summer 2016 Collection of Jackets for both men & woman are made using finest quality European Linen procured from J. Hampstead in natural pastel shades like Rose, Peach, Serenity, Snorkel Blue, Iced Coffee and more and can be comfortably paired with formals and informal clothing’s. These colors are selected considering the Spring Summer Pantone 2016 colors shade which transcend cultural and gender norms. Get into the Patriotic Spirit this Republic Day, wear the Prime Jacket of India. Yes, the Jacket which has been worn by the first Prime Minister of India Pandit Jawahar Lal Nehru till the current Prime Minister of India, Shri Narendra Modi. Nehru gave Jackets its name by wearing it often in public meetings and international trips, whereas Beatles and James Bond gave it much needed global acceptance, Modi added the vibrant colors to the Jacket. From shades of Grey to the beautiful vibrant pastel shades, that Jacket has seen all over the decades. It is one attire for Indian Men, which when worn, makes you feel like a proud Indian. So get your wardrobe ready for the Republic day and wear a classy Nehru Jacket. Mulberry Lifestyle, an upcoming fashion label started by Arti Poddar, had successfully launched its online store http://www.mulberrlife.in back in January 2015. The company has been making waves in the online retail world for its premium quality Nehru Jackets and is selling to its customers across length and breathes of India. Every jacket made by Mulberry Lifestyle bears the hallmark of quality workmanship. These jackets are made with automatic and semi automatic Japanese machines, using carefully selected fine quality fabrics. Made out of natural fabrics like Silk, Cotton, Linen, and also more vibrant fabrics such as velvet and brocade, the jackets are currently available in over 40 colors ranging from earthy pastels to richer hues. 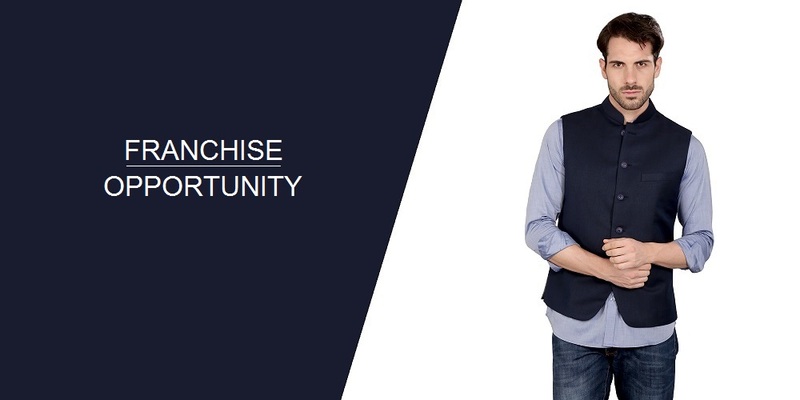 The company now plans to expand its business with opening Exclusive Retail Stores across India and thereby invite young, dynamic, enthusiastic people to setup a Franchise Store in their preferred city and start there enterprising career. The company is looking established and financially sound people with shop space in prime shopping areas in major cities across India, namely Delhi, Kolkata, Mumbai, Patna, Bhuvneshwar, Raipur, Indore, Nagpur, Chandigarh and likes, to setup a franchise store for products exclusively manufactured by Mulberry Lifestyle. The current product profile of Mulberry Lifestyle includes Nehru Jackets for Men & Woman, Mandarin Collar Shirts and Pocket Square. We are working very hard everyday to come up with new products in our portfolio and be rest assured that in coming days there will be more and more interesting products to place it in stores. People interested for Franchise Store of Mulberry Lifestyle, please fill the Franchise Application Form here and one of our representative will get in touch with you shortly.